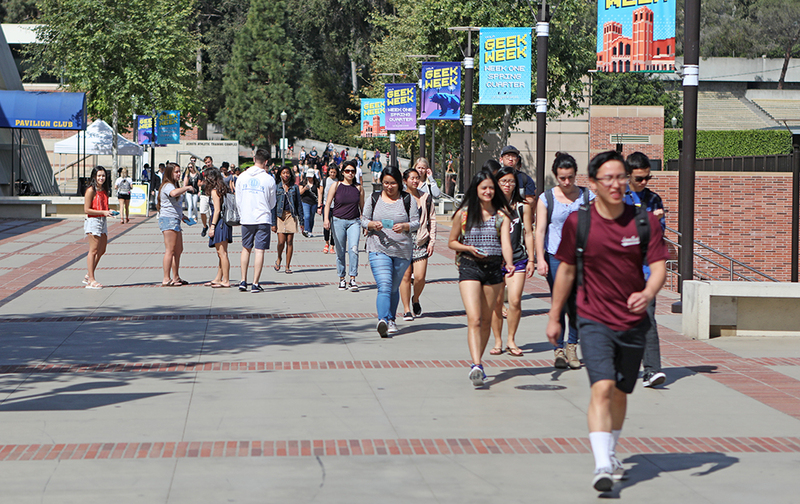 Students walk along Bruin Walk at UCLA. After years of chafing under pressure to do more with tight budgets from Gov. Jerry Brown, higher education advocates are looking to California’s next governor to set an agenda for the future of its colleges and universities and improve how the state helps low-income students. Whoever wins the gubernatorial election in November will have an opportunity to steer the state’s systems of higher education and make a profound impact on its economy and generations of young Californians. Higher education advocates say the next governor will have to decide whether to bolster aid for low-income college students and how to address decades of growing enrollment and decreasing per-student funding in the University of California and California State University systems. They are also watching whether the governor pushes UC, CSU and the California Community Colleges system to work more collaboratively. And, like all governors, whoever takes office in 2019 will wield considerable influence over colleges and universities through the state budget, as well as appointments to his or her cabinet and those institutions’ governing boards. More generally, though, several higher education researchers and organization leaders interviewed by EdSource said they hope the next governor will be more active than Brown has been in charting a course for California’s colleges and universities. “California ought to have a vision and a goal for higher education,” said Michele Siqueiros, president of the Campaign for College Opportunity, which advocates for policy changes to expand college access and improve completion. “It has been lacking that for many decades. Brown has taken on several higher education issues as governor, most recently proposing a new online community college and a reworked funding formula that would tie some of the money community colleges receive to student outcomes. He has also challenged the University of California and California State University systems to practice “strong fiscal stewardship.” But advocates say he has not laid out a broader vision for what he wants from colleges and universities and note he has not appointed cabinet-level officials to oversee K-12 or higher education. Here’s a look at topics higher education experts identified most frequently as priorities for whomever takes office in January. Some of the new governor’s most influential actions on colleges and universities will come soon after taking office, with a first budget proposal. Funding levels for the University of California and California State University systems will likely determine whether those institutions will raise tuition for students and if they have the money needed to ease crowding at some of their most popular campuses, experts said. The funding landscape for those institutions will likely depend on California’s broader economy, of course — if revenues remain high, or the state enters a downturn. Between 1981-82 and 2017-18, enrollment in the UC System grew by 113 percent while per-student state funding fell 51 percent, according to the nonprofit California Budget and Policy Center. Over the same time period, CSU enrollment increased by 68 percent and per-student spending dropped by 26 percent. Brown’s proposal for the 2018-19 state budget called for 3 percent funding increases for UC and CSU, less money than the systems had sought. After pleas from university leaders and students for more funds to avert tuition hikes the state Senate and Assembly countered by proposing more substantial increases in state funding for the systems, but budget talks are ongoing and it remains unclear whether Brown will agree to the higher funding levels. Six of the 23 CSU campuses are considered “impacted” for all undergraduate programs, meaning they receive more applications from qualified students than they have available spaces. All but two of the CSU campuses list at least one impacted program. California college experts said there are steps colleges can take to ease their capacity issues, such as reducing the time it takes students to get their degrees and finding new ways to serve students who are older or working. But ultimately, said Hans Johnson, director of the Public Policy Institute of California’s Higher Education Center, the budget will determine whether colleges can address crowding issues. A top barrier to affordable college education for low-income students and families intersects with one of the most pressing issues in California as a whole: Taming the high cost of living. The state’s core financial aid program, the Cal Grant, is considered among the most generous in the country. Tuition costs have also stayed relatively low — community colleges in California have the cheapest tuition of any state in the country. But Debbie Cochrane, vice president of The Institute for College Access and Success, a college affordability advocacy group, said many students are struggling because of other costs, such as housing, textbooks and food. The California Student Aid Commission has launched a study to update the state’s estimates for how much college students pay for living expenses. Currently those costs are estimated at $19,386 per year. The Cal Grant students receive that can pay for living expenses provides just $1,672 per year for those costs. Among the recommendations of an April report from the progressive think-tank The Century Foundation was a call to shift the focus of the Cal Grant program from covering tuition costs to helping students meet the full cost of attending college. 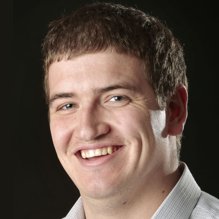 The report, ordered by the student aid commission, acknowledged the state would have to devote more funding to the program to meet that goal. The issue several California college experts identified as among the most important for improving higher education in California might be the least flashy: The state lacks a comprehensive data system to track what happens to students from high school through college and into the workforce. The governor could lead the way in creating a data system that would shed more light on how students transition to college, where they fall behind and how to get those who drop out back on track toward a degree. It would be central in efforts to improve college completion rates and equity, Cochrane said. “Having more robust data systems will help us identify exactly what the triggers of the problem are and how to address them,” she said. Reports have found the overwhelming majority of states — as many as 45 — have such data systems. California is among a handful that don’t, said Lande Ajose, executive director of California Competes, which researches and advocates for strategies to increase the number of people in the state with college credentials. “We don’t know enough right now, and we can’t really tell how well we’re doing,” said Ajose, who is also chairwoman of the California Student Aid Commission. Similarly, Ajose and others said, the next governor should create a coordinating body to guide the work of UC, CSU and the community colleges, which too often work separately. One such entity, the California Postsecondary Education Committee, was shut down in 2011 after Brown eliminated its funding in a line-item budget veto calling the committee “ineffective.” The committee also collected some of the data on how students fare in college that advocates say California now lacks. Brown vetoed a bill in 2015 that would have revived the committee’s function and another in 2012 to create the data system. Ajose said the committee suffered because the college and university systems wielded too much power over its work. With greater independence, she said, a new body could do a better job of collecting and analyzing data and making recommendations for improvement with a statewide focus. It’s another issue that might not excite crowds, but will be important for the future of higher education in California, Ajose said. “We want the next governor to be paying attention to those nitty-gritty issues,” she said.